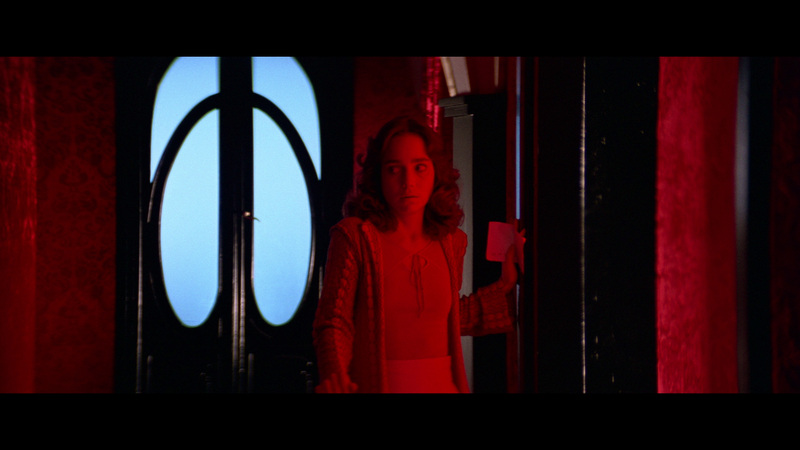 Dario Argento's masterpiece, the dark fairy tale known as Suspiria, remains one of the most beloved Italian horror films of all time. A fantastic exercise in style and atmosphere, it might be light on plot but it definitely fires on all cylinders when it comes to eerie mood and memorably bizarre set pieces. 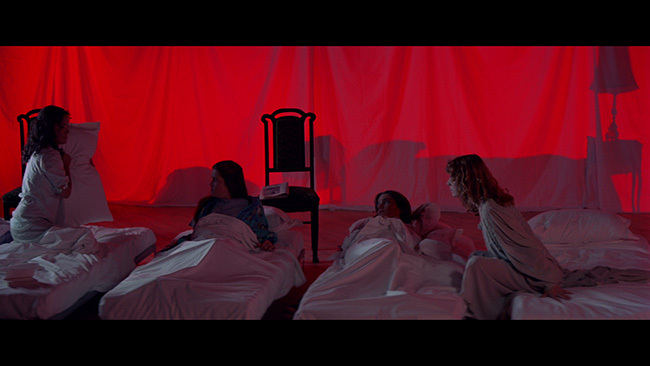 The film stands as one of those perfect unions of sound and vision wherein the soundtrack to the film plays just as important a role as anything else in the movie. 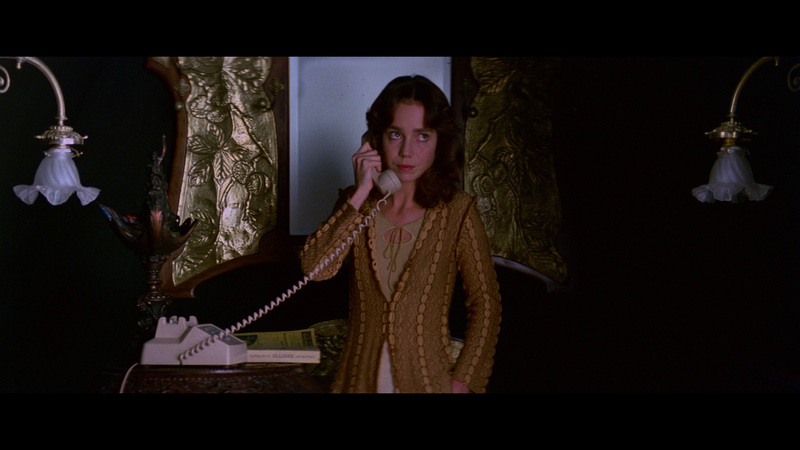 The plot follows a young woman named Suzy Bannion (Jessica Harper) who arrives in Freiburg, Germany one dark and stormy night, wasting no time hailing a cab. 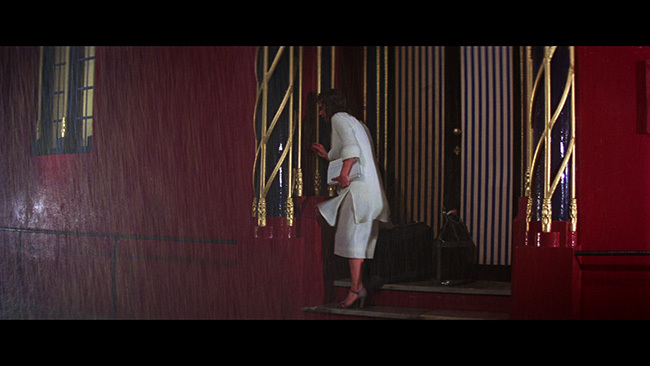 Her bags loaded, the cab whisks her off through the storm to the ballet school where she is to enroll for the semester. As Suzy nears the building she sees a girl running away in terror but from what she doesn't know. 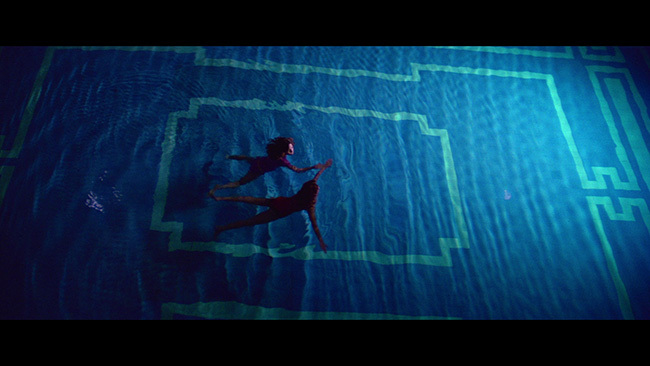 When she knocks on the door, she's told to leave by the voice behind it. When Suzy heeds that advice and heads back to the city, she once again sees the young woman, this time running into the woods that surround the academy. 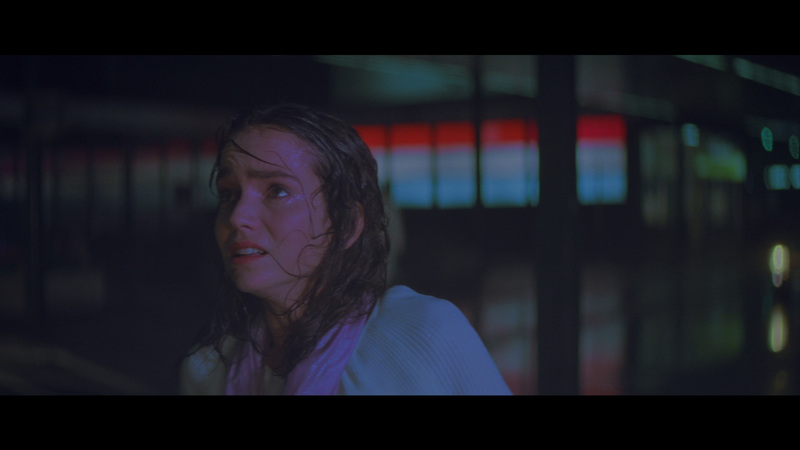 The running girl arrives at a strange building and tries to dry herself from the storm only to be stabbed and then hung by an unseen assailant. Her corpse smashes the stained glass below her which falls to the ground and kills a different girl who was there to meet her. 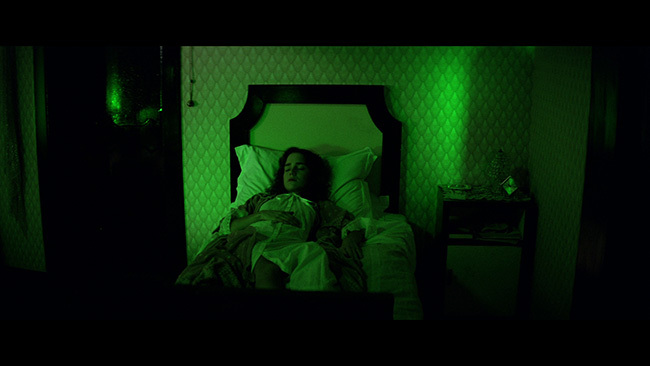 Argento and his cinematographer, Luciano Tovoli, wanted a very bright, unique look for this film and so it was shot using old Technicolor film stock and processed using the same method. While this was out of date by the time that the movie was made, the resulting visuals that they captured this way have proven to be timeless, giving the movie a distinct look that's been often imitated but rarely duplicated with such success as seen here. 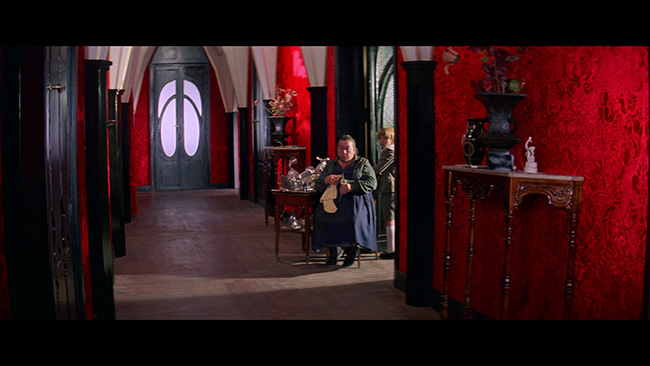 Combine these odd primary color schemes with some truly bizarre compositions and set design and throw in one of Goblin's most recognizable synth based percussion-heavy scores and you've got a movie that truly works as an experience more than a narrative. 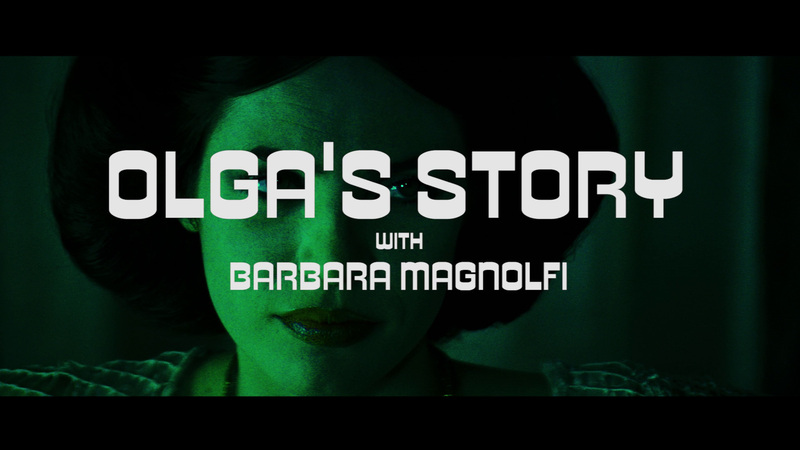 The story for the film isn't heavy or complex, in fact a common complaint is that there isn't really much of a story. Fair enough, one could make that argument, but there’s certainly enough of a plot here to work. When what does take place in the movie happens in such a manner as to stick in your brain for good. 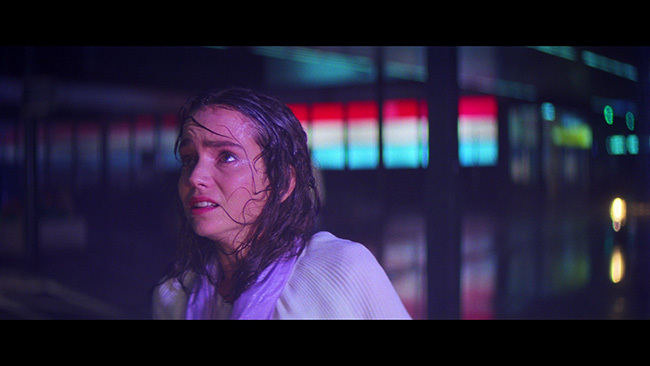 When the movie takes on such an otherworldly quality to become a sort of nightmarish alien fairy tale it's hard to dispute how powerful a motion picture Suspiria truly is. The locations, made up of some unusual buildings which Argento highlights by ensuring that the camera pays special attention to the architecture seen throughout, make for the perfect accompaniment to the murders. But of course, it's the murders and the horrific set pieces themselves that steal the show. A Seeing Eye dog mauls its owner for no reason, girls are covered in a shower of maggots, a room full of barbed wire proves to be a difficult foe – it’s all fairly horrible, and it all looks fantastic throughout. 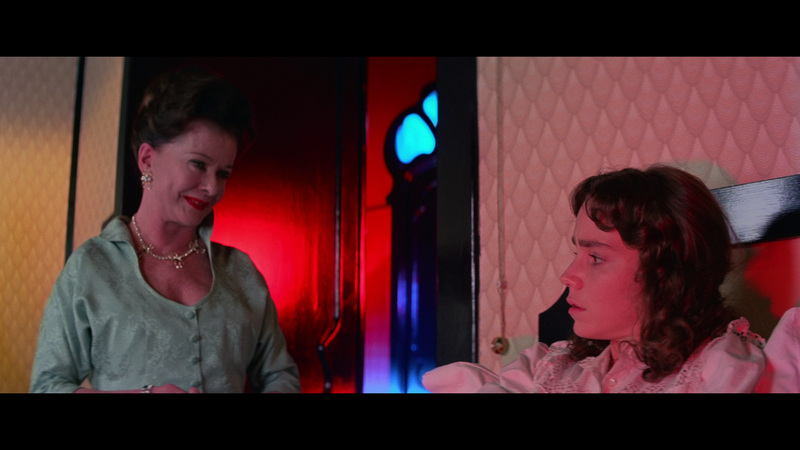 Synapse presents their exclusive 4k restoration of Suspiria on a 50GB Blu-ray disc in an AVC encoded 1080p high definition transfer framed at 2.35.1 widescreen, just as it should be. 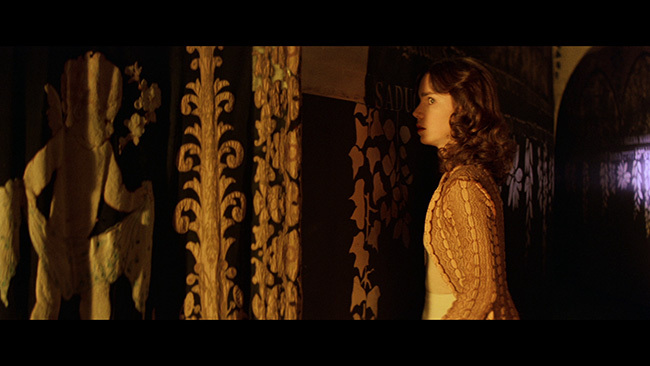 Taken from the 35mm camera negative and supervised by director of photography Luciano Tovoli, this restoration took a long time to complete but now that we have it in hand, it was absolutely worth the wait. 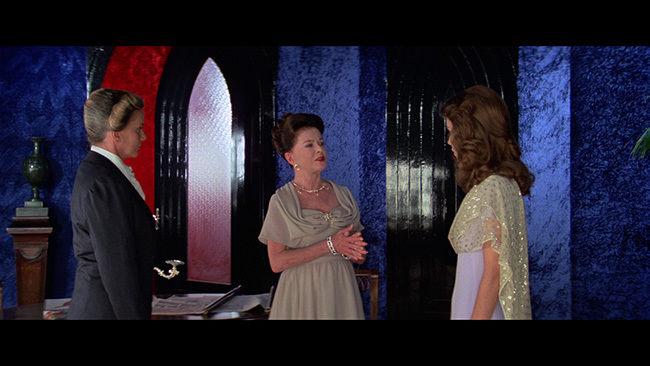 We recently reviewed the Umbrella Entertainment disc (you can read that piece here) that uses the alternate restoration from Germany’s TLE Films and that disc looked excellent to be sure, but in terms of color reproduction there are substantial differences between the two discs. 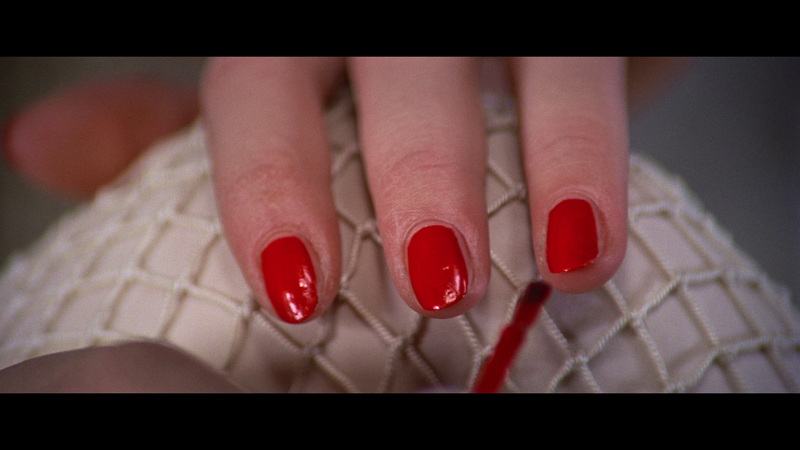 You’ll notice this almost immediately in the opening scene that takes place at the airport where the colors are brighter and bolder but never actually bleed into one another, they’re properly defined throughout. The primaries are stronger here and, in comparison, the Umbrella disc looks a little yellowish though not unnaturally so. The lighting in this scene is just much more powerful. Once we move to the school and the opening murder scenes, the reds are almost overpowering – it doesn’t seem like there should be a red as deep and as lush as they are here, but there you go. 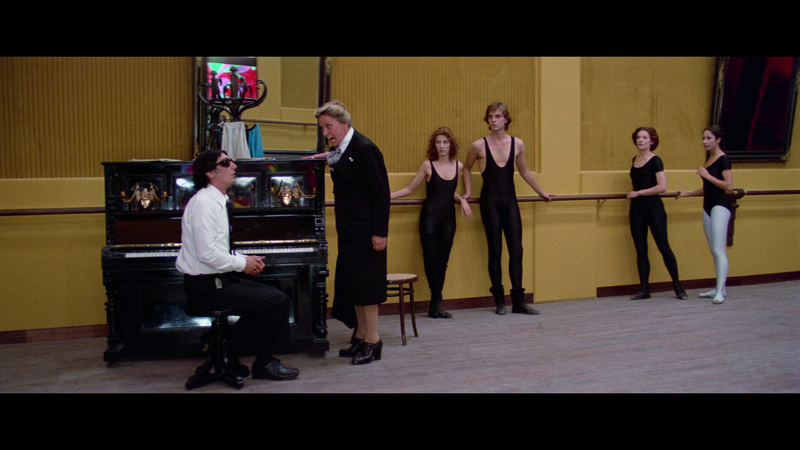 Another scene worth comparing, of course, is the finale where Suzy is running around the secretive areas of the school. The blues in the hallways are once again considerably deeper and more intense. 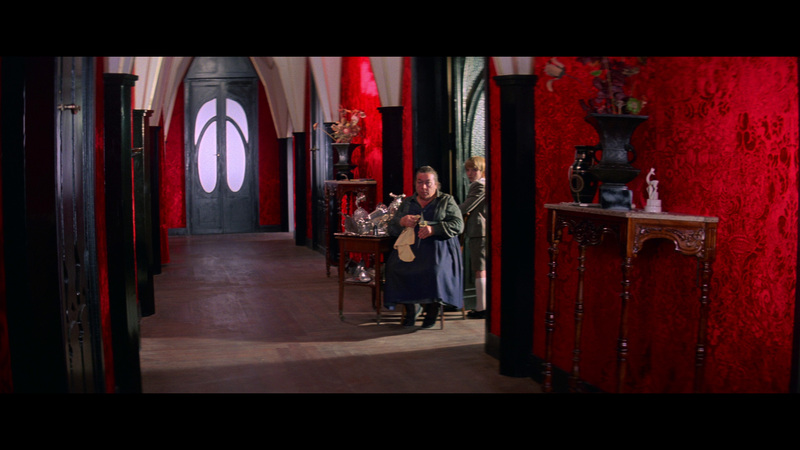 All of this serves to give the film the look of a fairy tale gone horribly wrong, and it’s entirely in keeping with the story. It’s also worth noting that none of the color work here comes at the cost of fine detail. There might be one or two minor instances where the Umbrella disc looks sharper for a second or two but it’s a ‘blink and you’ll miss it’ type thing that likely has to do with certain scenes in that transfer looking brighter and more contrasty. The flatter color scheme on that disc doesn’t melt your eyes the way the Synapse does. 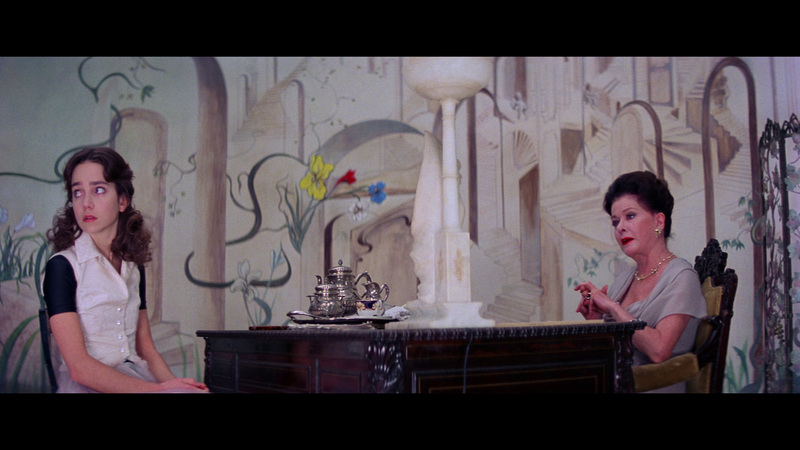 Rather, fine detail is excellent here throughout, and while there’s a natural film-like appearance to all of this there’s not a scratch on it, the restored image as presented here is absolutely pristine. 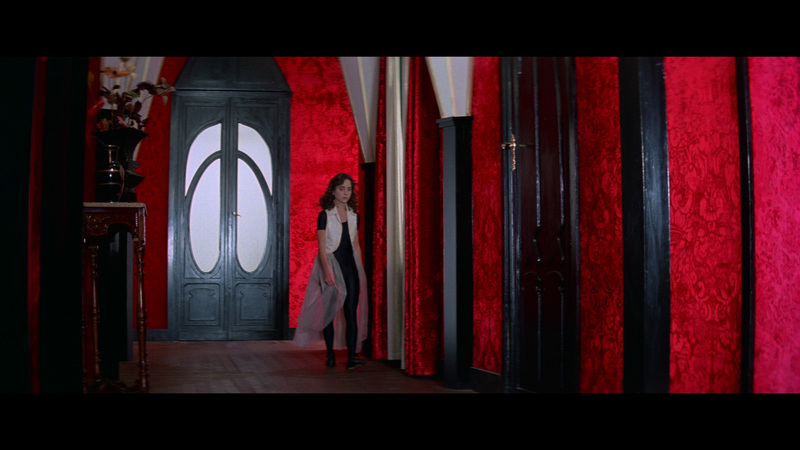 Obviously, opinions will vary as to which color scheme is preferable (though Tovali’s final word on this definitely matters) but for this writer’s money, this is how Suspiria should look, and it’s absolutely beautiful. 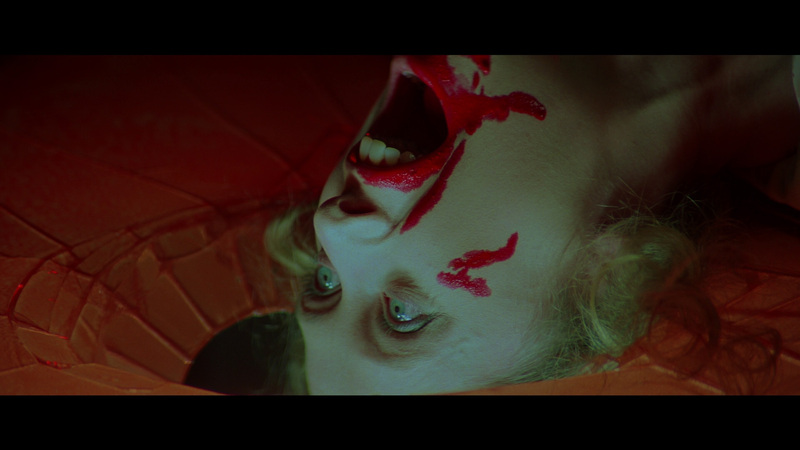 A quick comparison – the Synapse release is on top, the Umbrella release (which appears to mirror the Italian and UK Blu-ray releases) is on the bottom. As far as audio options are concerned, Synapse offers up an Italian language DTS-HD 5.1 surround sound mix with newly created subtitles translating that track, and it sounds great. But more interesting than that is the inclusion of the “original 4.0 1977 English language LCRS sound mix” offered up in a 96 kHz DTS-HD track that replicates how the film would have been heard during its original 1977 theatrical run. As gorgeous as the transfer is, this is where the disc really shines. Compared to the English DTS-HD 5.1 mix on the Umbrella disc, this track is a behemoth. Once that Goblin score kicks in? The Synapse mix absolutely bulldozes the competition. This is a LOUD mix but the detail that you’d hope to hear, it’s all there. From the opening music to the closing track, the music really pulls you into it unlike anything else you can really compare it to. As strong as the visuals are in this film, the sound design has always been just as important, if not more so, and hearing Goblin’s work at this level of quality is reason enough to want to add this to your collection. 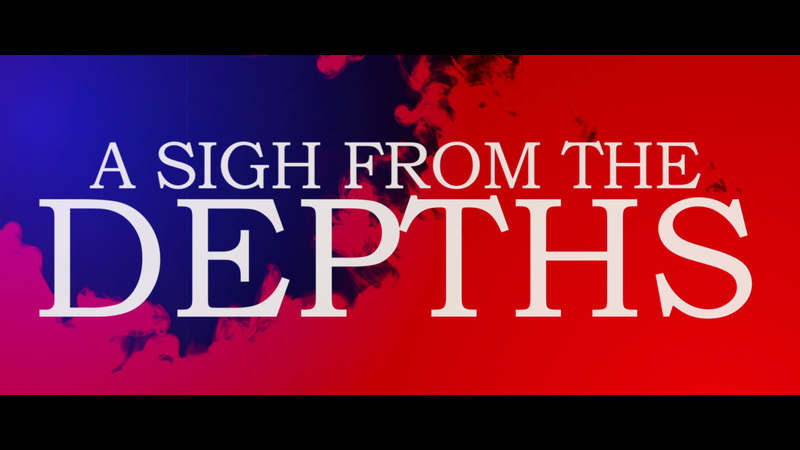 The English 5.1 mix pales in comparison – there’s really no contest between the two. Turn this one up with the lights off and you’ll soon find yourself completely immersed in the experience and the film becomes far more frightening than it’s ever been before. On a personal note, as intense and horrifying as some of the events in Suspiria are, I never found it particularly frightening. The 4.0 mix changes that. It’s beautifully unnerving and because you can hear so much more and in such a different way here than you’ve heard it before, the film takes on a far more effective tone of horror and dread. Extras on the first disc include two audio commentaries, the first of which is by authors and Argento scholars Derek Botelho and David Del Valle. Bothelo has more to say here than Del Valle does, he serves as more of a moderator, but the track has a lot of information in it regardless. 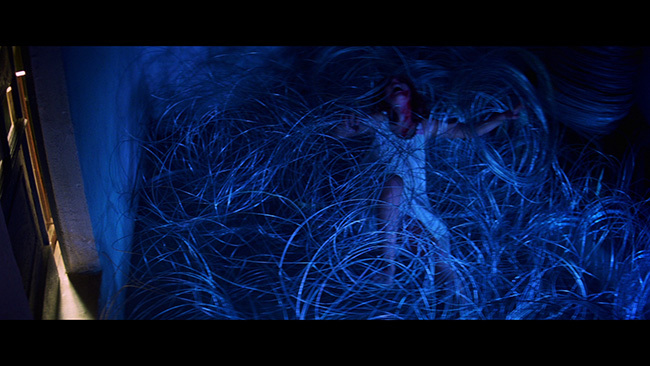 Bothelo puts this into context alongside a lot of Argento’s other films, the intensity of the opening sequence and how few films could live up to that scene, the way that Fox heavily promoted the film during its original theatrical run, Argento’s tendency to remove himself from the world when he’s in writing mode, the performances in the film and of course, the visuals and the importance of the score. 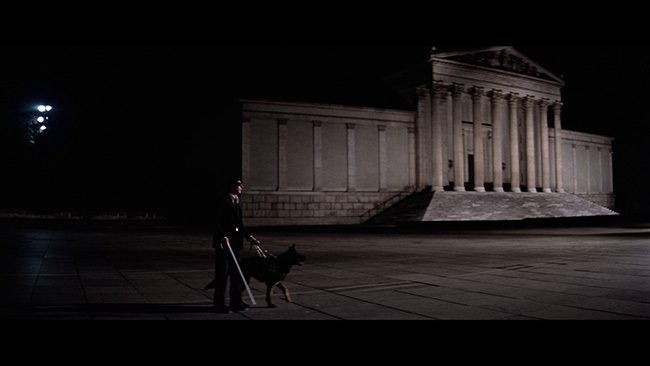 The second commentary track is by author Troy Howarth, who delivers a fairly scene specific talk, noting the intensity of the opening sequence, the mystery of the off screen narrator, the locations used for the shoot in Germany versus what was shot in Rome, the quality of the performances in the film, the lavishness of the sets, the art direction apparent in the picture, the cross-cutting featured in the editing style, the importance of the four channel stereo mix and quite a bit more. Understandably there’s some overlap between the two tracks but they’ve each got their own distinct flavor and uniqueness – both have quite a bit of value. The first disc also includes the option to watch the movie with the original Italian opening and closing credits or the international English opening and closing credits, animated menus and chapter selection. 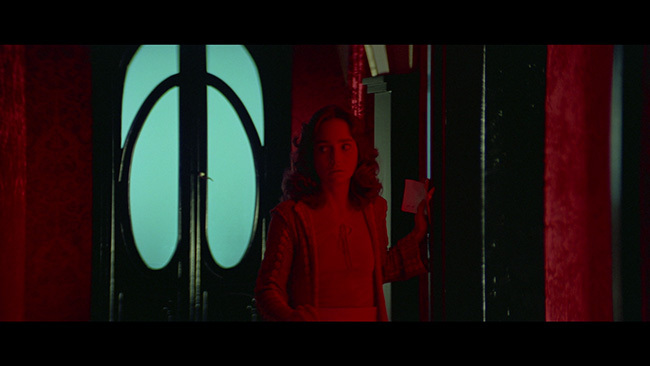 The bulk of the extras are included on the second Blu-ray, a 25GB disc, starting with A Sigh From The Depths: 40 Years Of Suspiria, which is an all-new retrospective on the making of the that runs just over twenty-seven minutes. 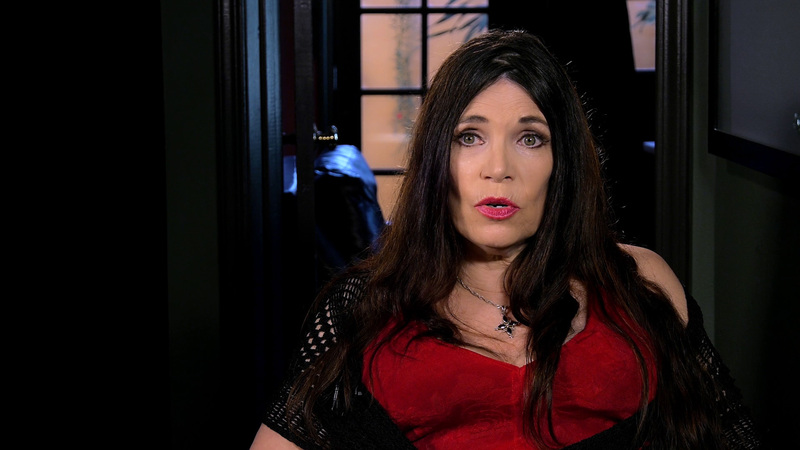 Included here are interviews with film historian Rob Galluzzo, Argento Syndrome author Derek Bothelo, screenwriter Sean Keller (who wrote Argento’s film Giallo), Blumhouse.com’s editor-in-chief Rebekah McKendry, American Cinematographer editor David E. Williams, . This piece traces the evolution of his career, from the early giallo films through to Suspiria, noting the importance of Argento’s relationship with Dario Nicolodi. 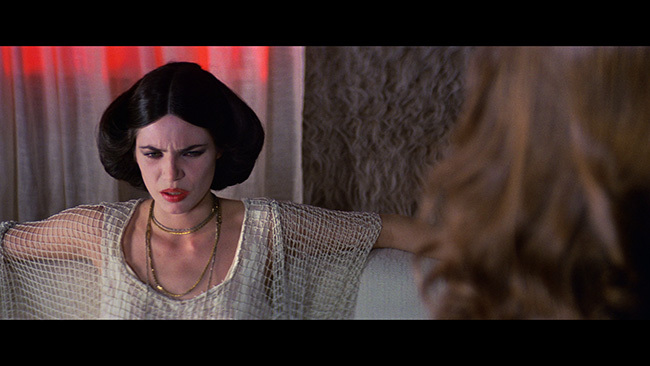 They also talk about the influence of Confessions Of An Opium Eater, the fairy tale aspect of the film, Argento’s belief in the supernatural world and the surreal aspects of the picture. 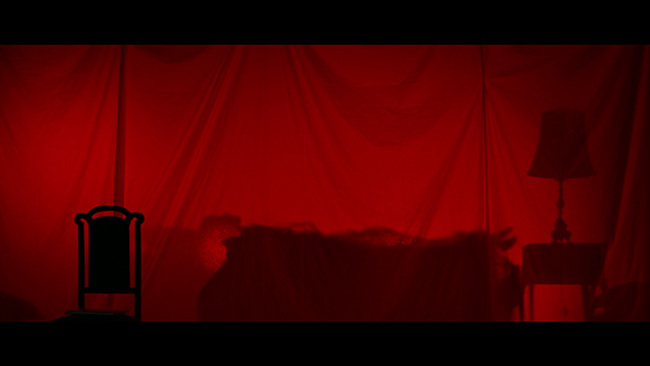 There’s also talk about Tovoli’s work on the movie and what he was able to bring to the film, the film’s very specific look, the themes that the film deals with, what the cast members were able to bring to the film and of course the intensity and insanity of the film’s notorious murder set pieces. It’s a decent piece, nicely put together, that offers insight from a group of people who know the film and the director well enough to provide some intelligent commentary about both the film’s history and its importance and influence both inside and outside the horror genre. Up next is a half hour visual essay from Michael MacKenzie entitled Do You Know Anything About Witches? in which he starts off by talking about how he first came across the film himself. 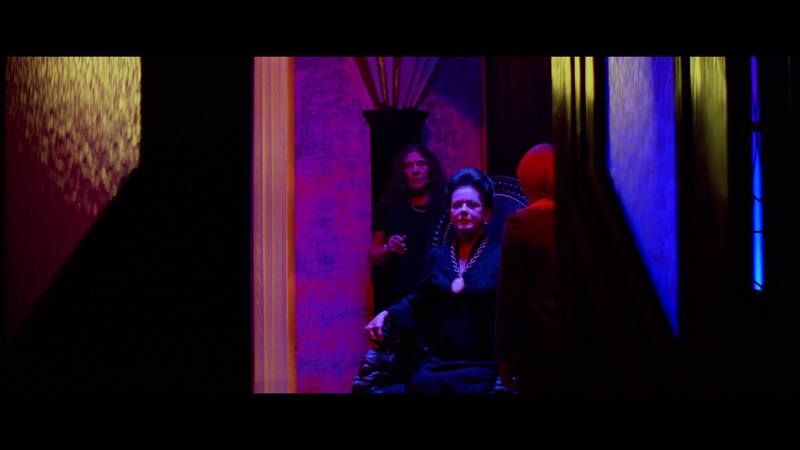 From there, McKenzie talks about the impression that the picture made on him before then going on to give us a quick rundown on Argento’s career and what lead up to the making of Suspiria. He then notes how Suspiria very definitely an Argento film in every way possible but so different than anything else he’d made up to that point. 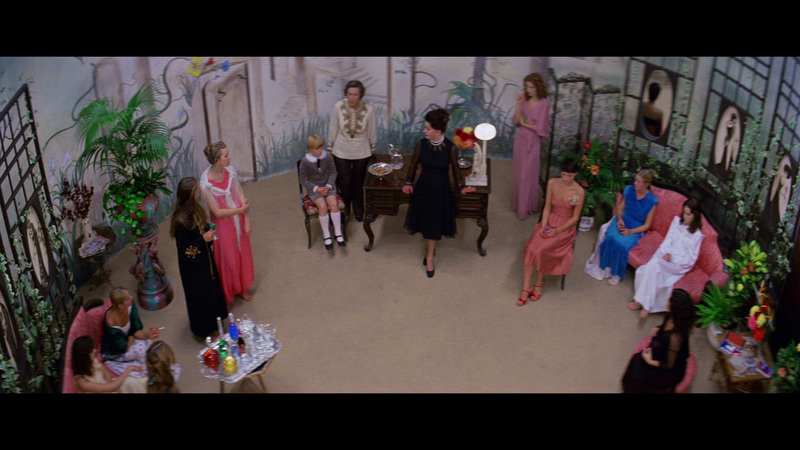 There’s talk here about how Argento and Nicolodi both claim credit for the film’s story, how the opening of the film sets things up in three simple sentences, the timelessness of the film, the aural and visual style that is so integral to the success of the film, how Argento originally wanted to cast younger performers in the film but was talked out of it by his producer, and how certain core scenes are broken down in very specific ways. 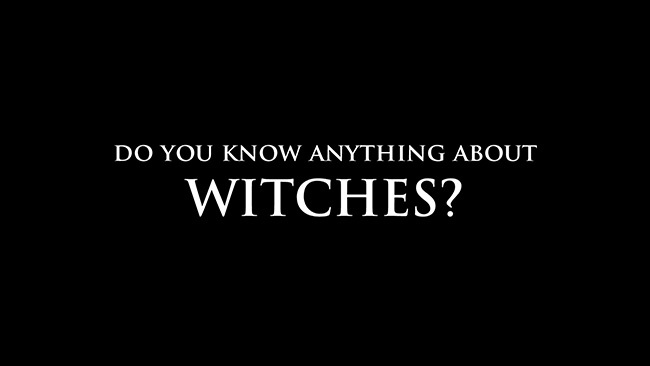 MacKenzie’s narration plays out overtop of pertinent clips from the film that provides some welcome context – this is quite an interesting dissertation on the picture. 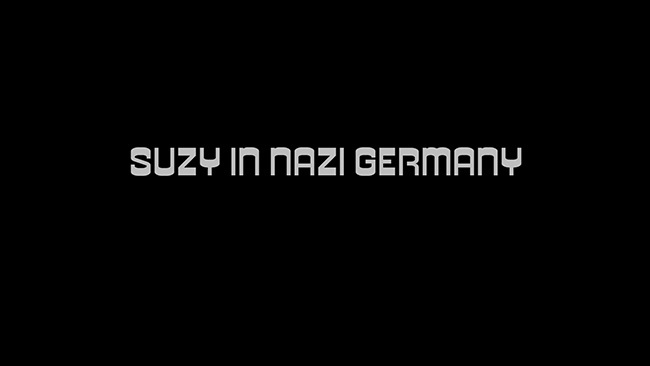 Suzy In Nazi Germany is an eight-minute featurette narrated by Marcus Stiglegger that explores the German locations used in Suspiria, Some of these locations in Munich were also used by the Nazi’s during the Second World War. 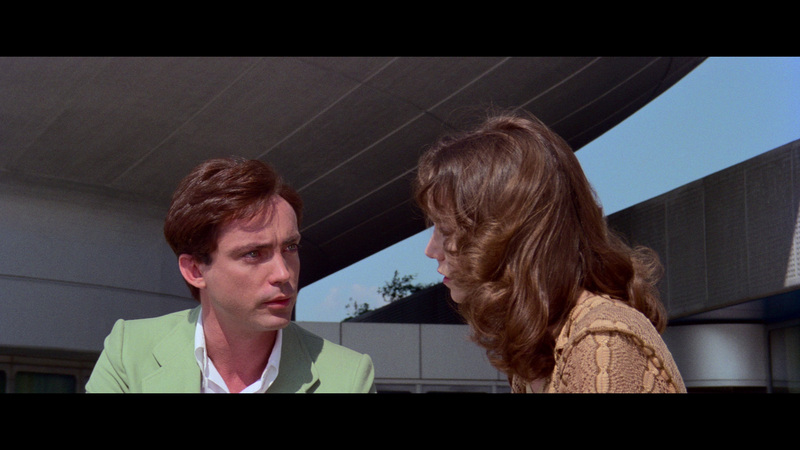 This piece talks about how the airport in the opening scene was designed by a Nazi architect (it’s now a shopping mall! ), how the film incorporates elements from a man Hitler declared an ‘enemy of the arts,’ how Hitler’s bunker was hidden near the forest Suzy travels through before getting to the school and how other locations also tie into Germany’s past in first half of the 1900’s (the square where the blind man dies was the site of massive Nazi bookburnings!). 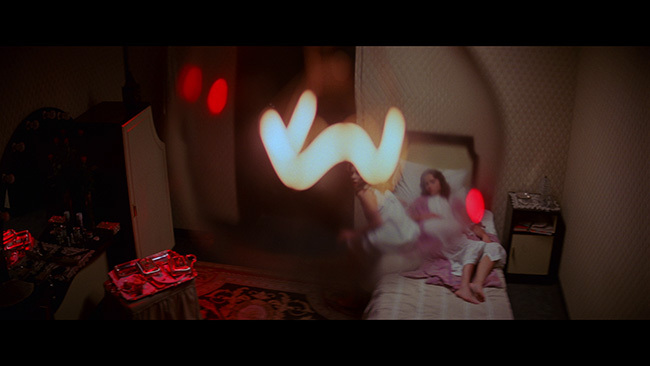 Synapse also includes the seriously cool ‘breathing letters’ opening credits sequence from the International Classics U.S. release of the movie. Outside of that we get the international trailer and two U.S. theatrical trailers, three U.S. TV spots and five different U.S. radio spots, alongside the requisite animated menus. We also get some nice reversible cover art. 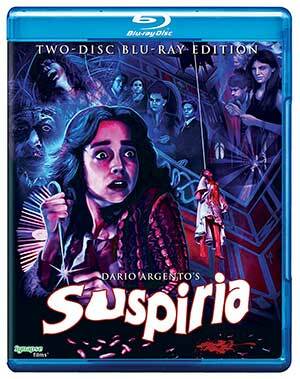 If there’s one thing to complain about in regards to this release, it’s that Argento himself wasn’t involved in any of the extras. As such, completists might want to own one of the other Blu-ray versions available or hold onto their older Anchor Bay DVD release for that reason. Suspiria remains a high point in horror cinema, a feverish nightmare perfectly captured on film and this new Blu-ray release from Synapse Films is undeniably the absolute best way to experience it on home video to date. The extras are solid, to be sure, and the packaging is beautiful, but it’s the presentation of the feature itself that really impresses. 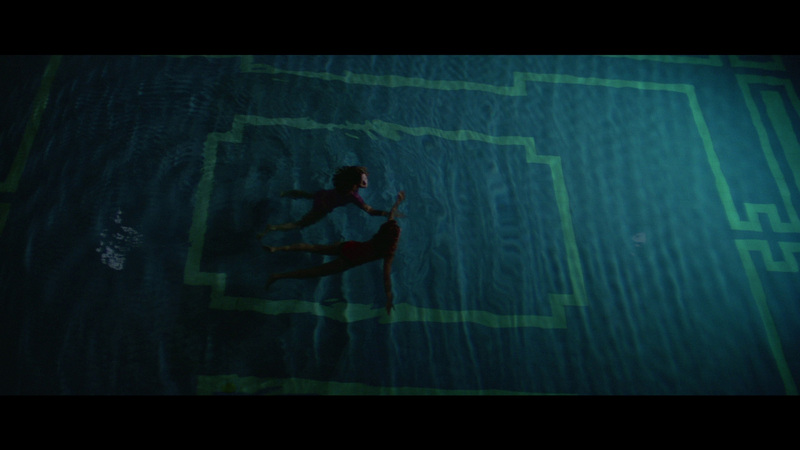 Seeing the film this way really is like seeing it again for the first time. Highest possible recommendation! I'm a little bummed the ol' Anchor Bay extra features couln't be ported over but this certainly is an amazing release fer sure. Yeah, it could have been definitive with those extras ported and it's a shame that didn't happen. As it stands, as you say, it's still an amazing release. This is the go to version for me, as nice as the Australian Blu-ray was.